Indyweek has run a really nice story about this weekend's show at The Lincoln Theatre and my upcoming move to NYC. Music scribe Chris Parker takes a long look back at my 25 years of music-making here in NC. Thank you, Chris, Grayson, and Indyweek, and thanks to my friends for saying sweet things about me. Excited about these upcoming holiday shows! 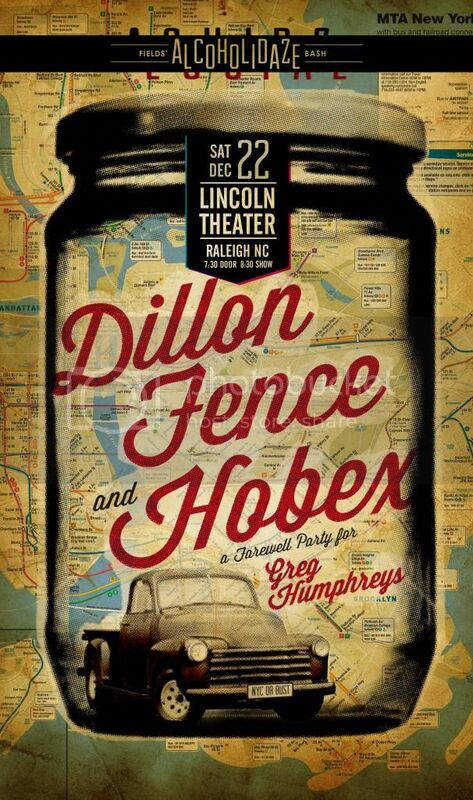 Playing Dillon Fence, HOBEX, and solo sets on Saturday, December 22 at the Lincoln Theatre in Raleigh, NC for concert promoter John Fields' Annual Alcoholidaze Bash. Since I'm moving to NYC in February to be with my sweetheart, this Lincoln Theatre show has been deemed my farewell party. Accordingly, we've lined up a wonderful cast of musician friends to sit in on each of the three sets. Recent collaborators Mandolin Orange, Jeanne Jolly, and Jon Shain will join me for tunes on my opening solo set. Former Fencer and current folk troubadour Johnny Irion will join Scott Carle, Chris Goode, Austin TX guitar slinger Phil Hurley and me on the Dillon Fence set. Rumor has it that Daniel Chavis of the Veldt might be in town to join DF for a number or two as well. Expect some (or all) of these folks to join our HOBEX mob (Andy Ware, Dan Davis, Doug Largent, Cyril Lance, Taz Halloween, Robert Cantrell and myself) for a big all-star jam and sing-along at the end of the HOBEX set. Please come. Bring your family and friends. Help us celebrate the holidays and make this a night to remember. Buy advance tickets here – $12 in advance, $14 day-of-show, $20 VIP Balcony. To help promote the show, I'll appearing on WUNC's The State of Things with Frank Stasio at 12 pm on Friday, December 21, and WNCU on Sunday, December 16. Tune in! DILLON FENCE @ THE VISULITE THEATRE FOR MORISEN 10. 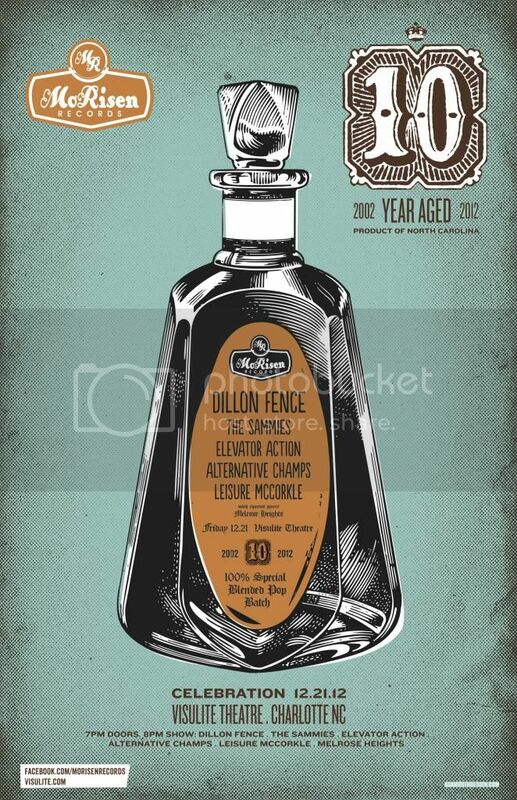 Dillon Fence plays a set for MoRisen Records' 10th Anniversary Celebration on Friday, December 21 at Charlotte NC's Visulite Theatre! Indie label MoRisen released our best-of compilation Best + in 2004. A stack of classic Charlotte Rock'n'Roll bands and fellow MoRisen alumni are also on the bill: The Sammies, Elevator Action, Leisure McCorkle and The Alternative Champs. Charlotteans, don't miss it! Tickets are $12 in advance, $15 at the door. Purchase advance tickets on the Visulite Theatre box office page. Just uploaded the tracks from my latest album for mastering! Bohemia will be released in early 2013 and features musical turns from very talented guests Matt Brandau, Phil Cook, and Lizzy Ross, as well as a song co-written on I-40 with Lizzy and a song co-written on a roof in Prague with Montana singer-songwriter Jessica Kilroy. 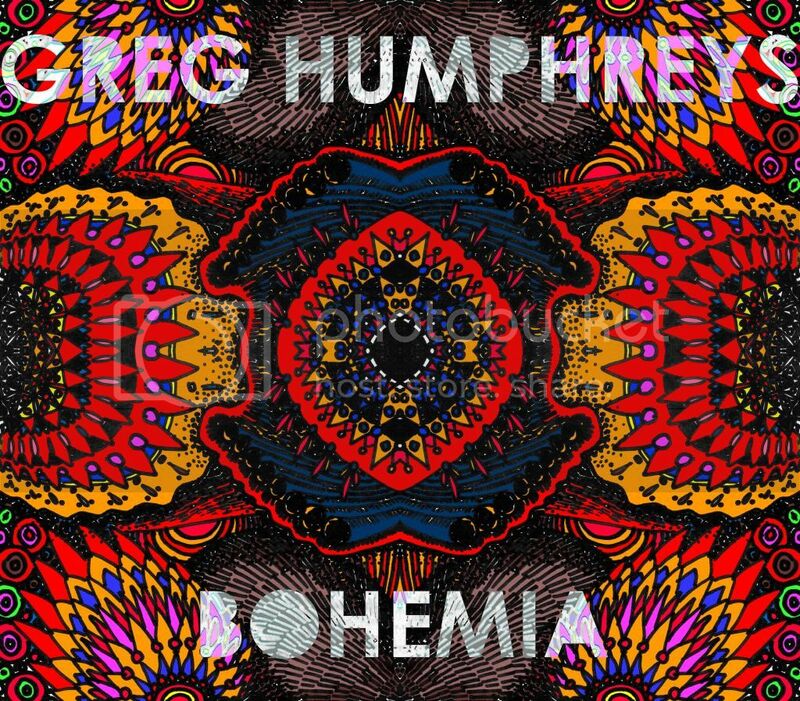 Bohemia is 9 songs – some new, some written during my last couple of summers spent playing music in Prague, CZ and the EU. It's about leaving, and arriving. You could consider it a love letter or a goodbye note to my home state of North Carolina, where I've lived all of my 45 years. You could also consider it a musical warm-up, setting the stage for new adventures in New York City and beyond. It's of a piece with my previous solo albums Trunk Songs, Realign Your Mind, and People You May Know; mostly acoustic. Mostly recorded here at my studio in Durham NC, with help from friends. I can't wait for you to hear this album. Check out the cover I've been working on, using some recent artwork. Not moving 'til February, so I'm squeezing in a string of shows around the Carolinas in January. First up: Q-BEX! This loose and fun collaboration between super-drummer Jeff Sipe, HOBEX bassist Andy Ware, Donna the Buffalo keyboardist Dave McCracken and me plays a rare show in Brevard NC on Friday, January 11, at a great new venue, 185 King Street. Buy advance tickets here. Other shows: Megafaun's Phil Cook hosts an intimate songwriters-in-the-round at The City Tap in Pittsboro, NC on Saturday, January 12. I'll be returning to the Nth Gallery in Boone, NC for a house-concert-style show on Saturday, January 19 – you'll need to RSVP here with host David Brewer if you want to come, as seating is limited. Returning to Isle of Palms, SC for a solo set at The Windjammer on Sunday, January 20. Hope to see you soon.